The Contemporary Music program is designed for students who are interested in learning popular styles of music including rock, blues, jazz, bluegrass, folk, and more! Classes are offered to increase your knowledge and sharpen your musical ear to perform, improvise, write songs, and use technology to record and produce your own music. We offer ensembles so you can develop your new-found skills while learning to play in a band; technology classes where your laptop is your primary musical tool; or classes in the harmony and language of modern music with a special focus on improving your listening ability for improvisation and playing by ear. Contact the SPCM Office for more information or to register: 651-224-2205 or info@thespcm.org. 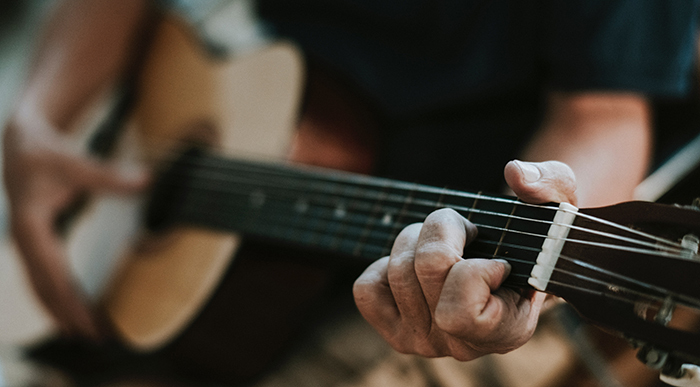 Learn under the guidance of Harry Chalmiers, lifelong performing guitarist and composer who has returned to teaching after a career as Vice President of Berklee College of Music, President of McNally Smith, and Executive Director of MacPhail Center for Music. Jennifer Parker will teach contemporary vocal techniques and will direct a contemporary vocal ensemble. She was the Head of the Voice Department at McNally Smith College of Music and is a highly sought after clinician, competition adjudicator, and teacher. Internationally known performer, recording artist, and former chair of the String Departments of both the Berklee College of Music and McNally Smith College of Music, Randy Sabien is a highly sought-after educator who will teach a variety of musical styles, including jazz, blues, rock, bluegrass, and traditional fiddle, while also coaching contemporary string ensemble and start-up bands. LA Buckner holds a master’s degree in Music Performance from McNally Smith and is the co-host of Sound Field, a new video project by PBS exploring the music theory, production, history, and culture behind our favorite songs and musical styles. The Contemporary Music program will employ other experienced and highly talented teaching artists previously on the faculty of McNally Smith College of Music.